Nothing is ever lost; nothing is ever created. Rather, everything is transformed. The "magic" law of conservation of mass was first expressed by the French scientist Antoine Laurent de Lavoisier. This father of modern chemistry extracted hydrogen from water, and by reversing the process, made water by combining hydrogen and oxygen. Many considered this magic at the time, but the conclusion was that the mass of the final products of a chemical reaction is the same as that of its individual elements collectively. The conservation law doesn't apply only to chemistry, however and it may explain all sorts of moves elsewhere. Consider banking for instance, where the chemists at the FDIC have updated the deposit assessment system/fund (DIF). These scientists have mixed the chemicals around, based on compounds of banking, deposit assessments and bank failure analysis from over the years. Enter the final rule is effective July 1 if the reserve ratio reaches 1.15% before that date (it was at 1.13% as of end of Q1). If not, it becomes operative the first day of the calendar quarter after the reserve ratio reaches 1.15%. Specifically, the rule was adjusted for small insured depository institutions (<$10B in assets), that have been federally insured for at least 5Ys (established small banks or ESBs). Total revenue collected should be about the same - however, riskier banks will pay more while less risky banks pay less. To start, banks are broken into 4 different risk categories, based on capital levels (3 groups: well capitalized, adequately capitalized, and undercapitalized, based on the leverage ratio and three risk-based capital ratios); and supervisory ratings (3 groups: A=CAMELS composite 1 or 2; B=generally composite 3, and C=composite 4 or 5). Brokered: Under the new rule, banks that utilize brokered deposits (excluding reciprocal deposits) will end up paying a higher assessment in some situations. The final rule replaces the adjusted brokered deposit ratio currently used in the financial ratios method with a brokered deposit ratio (the ratio of brokered deposits to total assets), and a 1Y asset growth measure (>10%). Further, under the new brokered deposit ratio applicable to all ESBs, brokered deposits in excess of 10% of total assets may increase assessment rates. Here, well capitalized CAMELS 1 or 2 banks can deduct reciprocal deposits from brokered deposits; while those rated 3, 4 or 5 cannot deduct reciprocal deposits. FHLB: The final rule does not change the current treatment of FHLB advances in the assessment system for ESBs. Reciprocal: The FDIC indicated that while reciprocal deposits do not present all of the problems that traditional brokered deposits present, they pose sufficient potential problems that they should not be considered core. In addition, the restrictions on accepting, renewing or rolling over brokered deposits when a bank is < well capitalized apply to all brokered deposits, including reciprocal deposits. Loans: The new rule also incorporates a loan mix index. It weights loan categories based on historical industry wide charge off rates. Here, the riskiest categories based on weighted charge off rate percent are: Construction & Development (4.50%), Commercial & Industrial (1.60%), Leases (1.50%), Other Consumer (1.46%), Loans to Foreign Government (1.34%), Real Estate Loans Residual (1.02%), Multifamily (0.88%), Nonfarm Nonresidential (0.73%), 1-4 Family Residential (0.70%), Loans to Depository banks (0.58%), Ag RE (0.24%) and Ag (0.24%). We will all be watching to see what the Q2 final data shows for the DIF once it is all summarized by the FDIC, but it is likely to be effective soon. 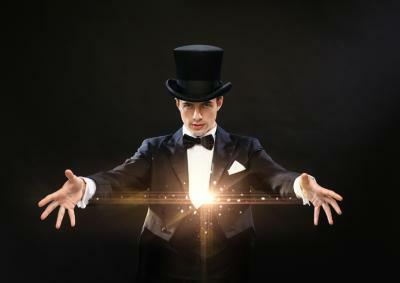 Just like a magic trick, bankers should keep their eyes open or they may miss the sleight of hand. Yields slid 2bp as investors digested the July FOMC minutes where some members seemed to favor a rate hike soon. A survey of high net worth individuals (>$1mm in investible assets) by Capgemini finds interest in using automated advisory services is now 67% vs. only 49% in 2015. Meanwhile, almost half (47%) of high net worth individuals say they use peer-to-peer platforms at least weekly to find out about investment ideas. A Compensation Advisors survey of executives at privately held banks finds the areas of compensation valued the most for compensation (excluding salary) are cash bonus (84%), retirement benefit (65%), equity (52%) and severance agreement with change in control (44%). A survey by Bank Director finds 60% of respondents expect their bank's CEO and/or senior executives to retire within the next 5Ys.